Born: July 25, 1817, near Lexington, Kentucky. Died: August 11, 1862, during the Battle of Independence, Missouri. Buried: Woodlawn Cemetery in Independence, Missouri. Colonel John T. Hughes was considered near kin to General Sterling Price, and enjoyed the trust and confidence of that great man. John Hughes had been with Sterling Price through the Mexican War, and the two men understood and loved each other as brothers. At the battle of Pea Ridge, when Slack fell mortally wounded, Price, who seldom made mistakes in choosing men for arduous duties, assigned Hughes to replace the fallen general. Price saw in Hughes the coming man and in this Price and Doniphan saw alike. After the battle of Pea Ridge, Hughes followed his kinsman to assist in the operations against Grant and Halleck, at Corinth. 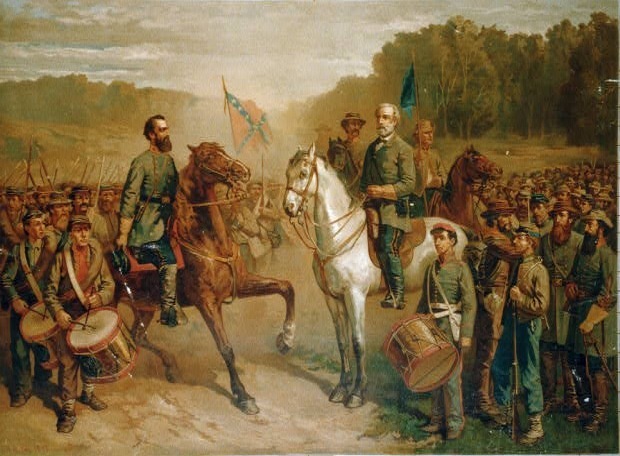 In one month he was directed by the Confederate Government, at Richmond, to return to Missouri, and raise a brigade; which meant a	generalship for him. He was on this mission, making his way to northwestern Missouri, when he brought together, near Lee's Summit, the forces of Thompson, Hays, and Quantrill, and planned so skillfully the battle of Independence. It was during this engagement that John T. Hughes lost his life. 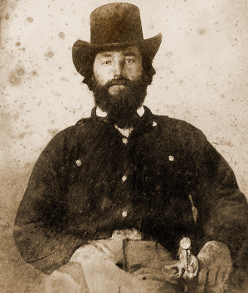 John T. Hughes was more than a rising general. He was a graceful writer	as well, and had he lived, would have done for Price, what Edwards did for Shelby-chronicled in classic English his achievements. Prior to the War Between the States, John Hughes was one of the leaders of political sentiment in Northwestern Missouri. He had been a Whig all his life, until the Whig party became dominated by Knownothingism, when he acted with the Democrats. This was due to what he felt was the violent and radical assaults of the leaders of the then forming Republican Party on the Constitution. This made it impossible for him to act with them. He was a member of the State Convention that sent delegates to the National Democratic Convention of 1860, the most stormy political assemblage, perhaps, that ever met in Missouri-one of which none but the master hand of Price could control. He held a commission as Colonel in the Missouri State Guard, which was the state militia at that time. When the Federal government usurped the will of the people, and ousted not only the duly elected Governor of Missouri, but the members of the State House of Representatives, the State Senate, the State Supreme Court, State of Missouri District Judges and all other state officers. He moved the troops under his command and took his place alongside that brave and noble band of patriots who fought and were willing to die for their beliefs. On August 11, 1862, Colonel John T. Hughes, commander of the Confederate troops, was killed by a shot to the head while leading a surprise attack against Federal forces. The volley came from troops under the leadership of Captains Breckinridge and Axline. Colonel Hughes fell motionless to the ground while leading a charge against the right flank of Captain Axline's position. The surprise attack came from the Confederate Troops and Quantrill's Partisan Rangers. Captain Breckinridge was taken by such surprise that he immediately shouted: "Boys, we are completely surrounded, and we had better surrender." This was the first command heard by the troops, but it was not long before Captain Axline was able to successfully counter that order and get their men to rally a few yards from here behind a stone fence. Captain Axline was able to repel several charges from the Confederates on this location before he received a message from over-all commander Lieutenant-Colonel James Buel ordering him to surrender to Colonel Thompson. Colonel Thompson succeeded command of the Confederates after the death of Colonel Hughes. Captain Axline reluctantly surrendered. Promoted posthumously to Brigadier General, John T. Hughes. The ideas and opinions are representative of B/G John T. Hughes SCV Camp #614, and L. Col. John	R. Boyd MOSB Chapter #236. Some information for this article came from: Battles and Bios of Missourians: by W. L. Webb. From Oak Hills Publishing. Photo courtesy Wilson's Creek National Battlefield, National Historic Site. Place your advertisement for Southern related items on our site.